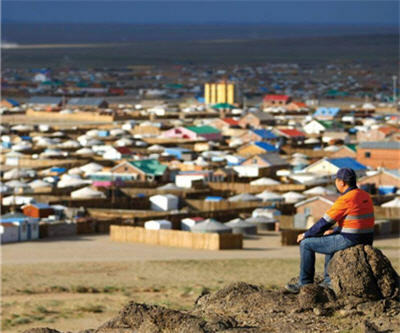 The long-dragged dispute between Rio Tinto (ASX, LON, NYSE:RIO) and the Mongolian government over a $6.6 billion underground expansion of Oyu Tolgoi, the Anglo-Australian giant’s massive copper-gold mine in Mongolia, seems to be finally coming to an end. The Sydney Morning Herald reports one of the company’s contractors has began advertising for workers on what appears to be the famous mine. According to the paper, engineering and project management company AMEC, is publicly searching for professionals to work at “a major underground, copper and gold mining expansion in Mongolia,” fuelling expectations that a deal will be sealed before the end of this month. Talks between Rio Tinto and the Central Asian country on the expansion and reworking of the initial 2009 deal that first triggered an investment boom in Mongolia, have dragged on for more than a year. Both sides provided fresh faces for the Oyu Tolgoi board in September to break the impasse and resumed talks in December. Rio’s unit Turquoise Hill (NYSE:TRQ), operator of the massive open pit, announced in December it received extended commitments from 15 commercial banks for the underground expansion where some 80% of the value of Oyu Tolgoi lies. Vancouver-based Turquoise Hill recently also closed a $2.4 billion rights offering to repay a $600 million bridge loan and a $1.8 billion interim funding facility for Oyu Tolgoi. But the main sticking points of the negotiations have yet to be resolved. Last month, Turquoise Hill said that further delays were likely to occur “if outstanding shareholder issues, including project finance, are not resolved before the expiration of lender commitments on existing project finance arrangements." For 2014, Oyu Tolgoi is targeting production of 150,000 to 175,000 tonnes of copper in concentrates and 700,000 to 750,000 ounces of gold in concentrates. But after phase 2 the mine in the southern Gobi desert close to the Chinese border could produce more than 1.2 billion pounds of copper worth $4 billion at today's prices, 650,000 ounces of gold ($800 million) and 3 million ounces of silver ($55 million) each year.